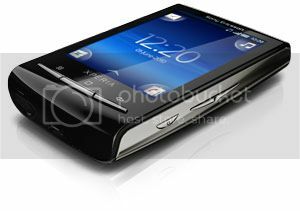 The Sony Ericsson Xperia X10 mini has been one of the smartphone revelations of 2010 in terms of design. It’s one of the smallest Android smartphones on the market and has won a host of design awards including the prestigious Red Dot Design Award. To give us a bit of an insight into the ideas behind the X10 mini design, Matthias Kierysch, colour material designer at Sony Ericsson, talks about some of the inspirations in the video below. This includes something the company calls ‘Human Curvature’ and ‘Precision by Tension’ (both trademarked terms). The former is about creating designs adapted to the curves of the human body, whilst the latter is about providing structure that complements human curvature. You can check out more in the video below. 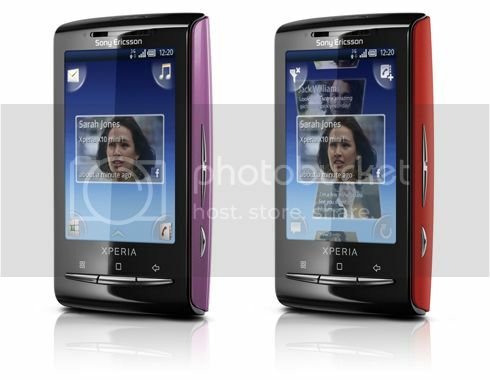 In related news, Sony Ericsson is releasing two more back covers for the X10 mini. This includes a purple cover called ‘Doodles’ and is adorned with sketches of birds and hearts. The second cover is called ‘Passion’ and is appropriately red in colour with a flame-like design. Check out some pictures of these covers below. Via SE Developer and BlogSE.pl. OH LOOK, SONY ERICSSON PHONES. IT’S NICE AND BROWN /”flush”/ …. NOW IT’S GONE. This is good news. They’re still promoting the x10, which means better odds for 2.2/2.3. I love the design and its good SE put a bit of effort into designing phones that stand out from the rest. You guys don’t get it, it’s all about choice! If you want something with a bigger screen and more features get the X10. On the other hand, if you want a smaller smartphone that gives you almost the same features but with a lower price than the x10 mini is your choice. I love that red (2:29/3:03 Time ) colour but one thing is missing there..
Because now is only I suspect for the girls but with the ferrari logo will looks more impresssive!!! we need 2.2 or higher.we won`t stop nagging.it our right. make some too for the full-size x10 owners too! I’m desperate looking as well for the doodles cover, my wife is in love with it… I have found just the PRO version at ebay but no lack with the simple mini version nowhere. Can anybody help?